ANN ARBOR, MI. - In an effort to continue building its leadership pipeline to support growth in various areas, CEO Albert M. Berriz announced today the promotion of three key executives to its CEO direct report ranks. "Eric, David and Andrew are currently major contributors as well as a key part of our future. We expect these executives to take on greater leadership roles within McKinley over time, and I am personally thrilled to be working with them directly on various important initiatives. They are all passionate, smart, and hardworking and they embody everything we value in our key leaders and culture at McKinley," shared Berriz. Eric Tuomey has been promoted to Director - Major Transactions Group. Tuomey, a graduate of the Taubman College at the University of Michigan with a Master of Urban Planning degree and a Graduate Certificate in Real Estate Development, leads McKinley's initiative to develop apartments throughout the Ann Arbor Region. Tuomey is currently leading the planning, permitting, design and development of seven new communities underway in Ann Arbor, Pittsfield Township, Fenton, Ypsilanti Township, Green Oak Township and Romulus, Michigan. Andrew Berriz has been promoted to Director - Special Projects Group. 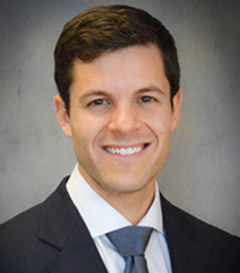 Berriz, a BBA graduate with High Honors from the University of Michigan - Stephen M. Ross School of Business, leads McKinley's select group specializing in complex multifamily acquisitions, renovations and repositionings. Berriz is currently leading the renovation and repositioning of Nantucket Cove Apartments located in Champaign, Illinois, a severely distressed newly constructed purpose built student housing project that McKinley recently acquired and is repositioning as a conventional garden apartment, and Silver Lake Hills a recent McKinley acquisition located in Fenton, Michigan. David Rohlfs has been promoted to Director - Midwest Region Institutional Residential Real Estate. Rohlfs, a BBA graduate from the University of Michigan - Stephen M. Ross School of Business, leads McKinley's Midwest Region - Institutional Residential Real Estate. Rohlfs currently manages a team of experts focused on receiverships, workouts, lease-ups, and long term management of multifamily assets throughout the Midwest for key McKinley institutional partners and select client relationships.